ww2dbaseFranklin Delano Roosevelt was born in Hyde Park, New York, United States into a privileged family. Frequent trips to Europe made him well versed in German and French. He learned to ride, shoot, row, and play polo and lawn tennis. He studied at the Groton School in Massachusetts, United States, then went on to Harvard University in Cambridge, Massachusetts. He attended Columbia Law School in New York City, New York, United States, but never completed the program there, though he was able to pass his bar exam. ww2dbaseAfter a brief career in corporate law, Roosevelt became a New York State Senator in 1910; he had aimed to join the lower house, the New York State Assembly, but was placed on the ticket to the State Senate by favorable luck. In 1919, he was appointed the Assistant Secretary of the US Navy by President Woodrow Wilson, where he was credited with the founding of the Naval Reserve. In this role, he further developed his political repertoire; while he sincerely fought for the well-being of the laborers at naval shipyards, for example, he was known to take credit for any success at the increase of their hourly wages and blame others when the wages went down. While in the US capital, he maintained his political influence back in his home state of New York, secretly setting himself up as one of the political bosses to speak to should a junior politician wished to advance in his career. During WW1, he toured Britain and France, met many important European politicians (including King George V, David Lloyd George, Georges Clemenceau, and Winston Churchill, although he left so little an impression on Churchill that Churchill would forget the encounter), and witnessed as much of the war as possible for a civilian administrator (an action done in lieu of doing fighting himself). 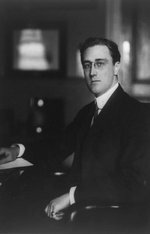 Upon his return to the United States via USS Leviathon, he wanted to create new US Navy railway gun artillery units to fight on land, and resign from his desk job to command one such unit; US President Woodrow Wilson denied Roosevelt's request, nothing that the war would be over before he would be able organize such units anyway. ww2dbaseDuring his time as the Assistant Secretary of the Navy, Roosevelt allegedly had an affair with Lucy Mercer. Mercer had written Roosevelt several times during Roosevelt's time away, and Roosevelt had packed these letters in his luggage. He contracted pneumonia on his way home. When Roosevelt's wife Eleanor Roosevelt, whom he had married in 1905, unpacked the luggage for him, she discovered the letters. The couple was said to have had a serious discussion and decided to stay together. This speculation could not be confirmed, however, as no evidence in support of this rumor or otherwise. It was known, however, that it was around this time that the two began maintaining separate bedrooms. Roosevelt and Mercer would maintain contact with each other; in fact, Mercer would be with Roosevelt when he passed away in 1945.
ww2dbaseRoosevelt resigned his position as the Assistant Secretary of the Navy in 1920 and briefly retired from politics after a failed run for vice presidency; though doubtlessly a political defeat, the election campaign made him a figure on the national political scene. ww2dbaseIn Aug 1921, Roosevelt contracted Guillain-Barré syndrome, which left him paralyzed from the waist down. The illness was misidentified as poliomyelitis at the time. Being a politician, Roosevelt was careful in not revealing the paralysis in public, fearing that it could be seen as a sign of weakness that might negatively affect his political career should he choose to return. As he was recommended water-related exercises as a form of physical therapy to combat muscular atrophy, he discovered the geothermal springs at the Meriwether Inn in Warm Springs, Georgia in southern United States; he believed that the warm and dense waters there significantly enhanced the effectiveness of his physical therapy, and this feeling gathered those suffering from similar illnesses to the same location, ultimately leading Roosevelt to become the unofficial voice of poliomyelitis victims. In 1926, he purchased the Meriwether Inn as the base of a foundation to serve those suffering from poliomyelitis. This purchase was a great financial gamble, as the purchase price was more than half of his household's net worth. It was this time that he came in personal contact with those in financial distress for the first time in his life. With many of this neighbors being farmers, he began to understand the vulnerability of these families to unpredictable crop markets and empathize with them. ww2dbaseIn the mid-1920s, Roosevelt again allegedly had an affair with another woman, but this affair was disputed even greatly than the one with Mercer; Roosevelt's son Elliott Roosevelt recalled seeing Marguerite "Missy" LeHand sitting in Roosevelt's lap in Georgia and suggested that all his siblings had an understanding of the existence of an affair, but his siblings did not make similar notions. LeHand would remain Roosevelt's private secretary until 1941 when her health prevented her from maintaining that position. ww2dbaseIn 1928, Roosevelt managed the presidential campaign of fellow Democratic Party member Alfred "Al" Smith; Smith would ultimately lose the election by a great margin to Republic Party candidate Herbert Hoover (embarrassingly losing even his home state of New York where he held governorship), but through this campaign Roosevelt made numerous appearances presenting Smith and gained much popularity for himself. Roosevelt's use of radio as a new form of mass media was interesting, as his speeches in support of Smith promoted himself as well (ie. listeners heard Roosevelt's voice as much as Smith's platform), thus effectively strengthening his own political future, something he was not sure if he still wanted to pursue. This question would soon be challenged by Smith himself prior to the presidential election of 1928.
ww2dbaseAs Smith vacated his governorship, Smith saw Roosevelt as the ideal candidate to succeed him. Roosevelt initially turned down the notion, citing his commitment to his poliomyelitis foundation, but ultimately he accepted the nomination and won the election by a narrow margin. As the governor of New York, he implemented progressive policies that would provide hints for his future tenure as the president of the country, which came in 1932; he took office in Mar 1933.
ww2dbaseAs the President of the United States, Roosevelt's first challenge was the Great Depression, and his response was the New Deal program, which focused on relief for those in need, reform so that government-backed social programs would protect the well-being of the people, and recovery of the economy via government spending. A friend had once told him that "[i]f the New Deal is a success, you will be remembered as the greatest American president", but Roosevelt cautious responded that "[i]f I fail, I will be remembered as the last one". While whether he was the greatest US President is debated, the New Deal slowly but steadily showed success, and he avoided the fate of being the last US President. In 1936, he was elected to his second term in the White House. On the foreign policy front, Roosevelt carefully tried to engage Americans in international politics, but he fought against strong isolationist sentiments. In 1940, he presented the destroyers-for-bases deal to Britain, which was "the first of the president's clever and arguably illegal tricks to evade the neutrality laws and to help the British", commented journalist David Brinkley; "[h]e got away with only a few bruises". He continued to lobby for American participation while he dangerously came close to violating American neutrality, using common language to speak to the American people with his "fireside chats". Even though isolationist Americans outnumbered those with a more global view five to four, he continued to strive to "buy peace for a generation of Americans, but the more he pondered the character of the regime in Berlin, the more convinced he became that the next U.S. generation would lie at Hitler's mercy." Bypassing the appeaser British Prime Minister Neville Chamberlain's office, he contacted Winston Churchill directly via telephone and established what was to become one of the most important working relationships during the war. ww2dbaseRoosevelt was a master at political maneuvers. When the United States was brought into WW2 with the Pearl Harbor attack, his immediate finger-pointing left him completely blameless of the devastation of the US Navy Pacific Battle Fleet, despite the fact that he was the commander-in-chief of the United States military; instead, scapegoats Husband Kimmel and Walter Short shouldered the entire responsibility. His diplomatic capabilities also helped him achieve his military goals, as demonstrated by his ability to convince (or, mislead, as per MacArthur) Douglas MacArthur to retreat from the Philippine Islands against his wishes. As Roosevelt discovered MacArthur's political potentials in the upcoming presidential election, some reported his nervousness. "I'm sure," said Australian Prime Minister John Curtin, "that every night when he turned in, the President had been looking under the bed to make dead sure [MacArthur wasn't] there." Naturally, Roosevelt found his solution. He befriended MacArthur and publicly sided with many of his decisions, such as choosing the liberation of Philippine Islands over an invasion of Taiwan. As a result, Roosevelt was able to capture a part of the potential votes that might had gone to MacArthur had he really become a presidential candidate. ww2dbaseAs President, Roosevelt continued to suffer from paralysis. He could not walk without his cane or his aide, but he had done a remarkable job in masking this from the public. From when he initially campaigned for presidency to the years at the White House, no photograph or video footage revealed his handicap in a public way. It reflected not only his determination to appear strong as the head of his nation, but also the media's complete cooperation with the White House resident. Some of the cooperation stemmed from Roosevelt's openness to the press, which began early in his presidency. In fact, he was the first President of the United States to hold a press conference that accepted direct questions. Unlike his predecessors, he was willing to entertain all questions, saying "there is no news on that today" on the only very few questions he did not wish to answer. He felt he was a president who was close to the people, and he wanted the public to feel the same way. ww2dbaseOf course, there were exceptions. Press lords Cissy Patterson and William Randolph Hearst, for example, were some of Roosevelt's harshest critics and greatest political enemies since the introduction of the New Deal. They called Roosevelt, among other things, a dictator, and argued that the lend-lease program was "a sneaky and illegal device to trick the American people... into another war to bail out the British" in their widely circulated publications. ww2dbaseDuring WW2, when Roosevelt needed to travel around the continental United States, he rode in an armored rail car built by the Association of American Railroads, which the White House purchased for a token price of US$1. The rail car, named "Ferdinand Magellan", had two elevators built-in so that he could get on and get off with ease in a wheelchair. The car featured an office, a lounge, a bedroom, and a galley, all protected by 12 inches of steel-reinforced concrete underneath and armor plates on the sides. It even had three underwater escape hatches built according to submarine specifications, in case the train was to derail and end up at the bottom of a lake. The train avoided traveling on rail lines that were too close to the east coast of the United States in fear of German submarine attacks. ww2dbaseIn Oct 1944, Roosevelt's doctor noted that his patient had frequent bouts with high blood pressure and had frequently complained of loss of appetite. Upon his return from Ukraine at the end of Feb 1945, the doctor observed that Roosevelt's left ventricle was showing warning signs of failure. By Mar 1945, Roosevelt's close aides began to suspect that his health situation might be fairly serious; shortly after, rumors began circulating among the American public. Although he had always insisted on putting up a strong physical appearance, his final address before the Congress was conducted from a wheelchair, something he had not done in public before. He visited his retreat of Warm Springs, Georgia, United States in Apr 1945, where he could rest and work on his speeches for Jefferson Day on 13 Apr and for the United Nations Charter conference in San Francisco on 25 Apr. After complaining of an acute headache on 13 Apr 1945 during a portrait painting session with artist Elizabeth Shoumatoff, he passed away from cerebral hemorrhage that afternoon at 1525 hours. He was 63 years old. I feel so deeply for you all. As for me, I have lost a dear and cherished friendship which was forged in the fire of war. I trust you may find consolation in the glory of his name and the magnitude of his work. Churchill. ww2dbaseIn a sign of respect, the French observed a national day of mourning, the first time it was done for a non-French citizen, while the British Parliament did not meet for one day. Contrastingly, "Tokyo Rose" and Adolf Hitler rejoiced as if they had bought into their own propaganda without realizing the dire situation of their own countries. ww2dbaseHastily, a special train was hastily summoned to Warm Springs and customized to hold Roosevelt's coffin. En route to Washington, millions of people gathered along the tracks to pay respect to Roosevelt, and the train slowed to a crawl so that the people could see his coffin through the windows, shades opened wide. A funeral precession was held in Washington, and two days later he left by train for Hyde Park, New York, where he was to be buried in his mother's rose garden. "Freedom to learn is the first necessity of guaranteeing that man himself shall be self-reliant enough to be free.... If the fires of freedom and civil liberties burn low in other lands they must be made brighter in our own. If in other lands the press and books and literature of all kinds are censored, we must redouble our efforts here to keep them free. If in other lands the eternal truths of the past are threatened by intolerance we must provide a safe place for their perpetuation." "As a nation, we may take pride in the fact that we are softhearted; but we cannot afford to be soft-headed." "We know that enduring peace cannot be bought at the cost of other people's freedom." "With confidence in our armed forces with the unbounded determination of our people we will gain the inevitable triumph so help us God." 30 Jan 1882 Franklin Roosevelt was born in Hyde Park, New York, United States. 25 Jun 1900 Franklin Roosevelt graduated from Groton School in Massachusetts, United States. 8 Dec 1900 Franklin Roosevelt's father James Roosevelt passed away. 17 Nov 1902 Franklin Roosevelt and Anna Eleanor Roosevelt attended the Madison Square Garden Horse Show together in New York, New York, United States; later that night, Eleanor Roosevelt appeared for the first time in Franklin Roosevelt's diary. 24 Jun 1903 Franklin Roosevelt received a bachelors degree in history from Harvard University in Massachusetts, United States. 22 Nov 1903 Franklin Roosevelt and Eleanor Roosevelt were engaged for marriage. 17 Mar 1905 Franklin Roosevelt married Anna Eleanor Roosevelt. 7 Jun 1905 Franklin Roosevelt and Eleanor Roosevelt departed the United States for a three-month honeymoon in Europe. 3 May 1906 Franklin Roosevelt's daughter Anna was born. 23 Dec 1907 Franklin Roosevelt's son James was born in New York, New York, United States. 18 Mar 1909 Franklin Roosevelt's son Franklin Jr. was born. 1 Nov 1909 Franklin Roosevelt's son Franklin Jr. passed away. 23 Sep 1910 Franklin Roosevelt's son Elliott was born. 8 Nov 1910 Franklin Roosevelt was elected to New York State Senate in the United States, representing Dutchess, Columbia, and Putnam counties. 5 Nov 1912 Franklin Roosevelt was re-elected to New York State Senate in the United States. 17 Mar 1913 Franklin Roosevelt became the Assistant Secretary of the Navy under US President Woodrow Wilson. 19 Aug 1914 Franklin Roosevelt's son Franklin D., Jr. was born. 28 Sep 1914 Franklin Roosevelt's bid for US Senate was defeated in the Democratic primary. 13 Mar 1916 Franklin Roosevelt's son John was born. 13 Oct 1917 Franklin Roosevelt met with US President Woodrow Wilson at 2300 hours in Washington DC, United States. 9 Jul 1918 Franklin Roosevelt departed Washington Naval Shipyard in Washington DC, United States aboard USS Dyer. 21 Jul 1918 Franklin Roosevelt arrived at Plymouth, England, United Kingdom aboard USS Dyer. 8 Sep 1918 Franklin Roosevelt arrived in New York, New York, United States via passenger ship Leviathan. 6 Jul 1920 Franklin Roosevelt was nominated as a candidate for US Vice President. 2 Nov 1920 Franklin Roosevelt was defeated as a US Vice Presidential candidate. 28 Jul 1921 Franklin Roosevelt set sail aboard a yacht from New York, New York, United States for a Boy Scouts event further north up the Hudson River. 9 Aug 1921 While sailing with his family in the Bay of Fundy off New Brunswick, Canada, Franklin Roosevelt fell into the cold waters. 11 Aug 1921 Dr. E. H. Bennett diagnosed Franklin Roosevelt with a severe cold. 12 Aug 1921 Franklin Roosevelt lost the use of his legs. 13 Aug 1921 Franklin Roosevelt became paralyzed from the chest down. 14 Aug 1921 Dr. William Keen diagnosed Franklin Roosevelt as having a blood clot in his spine. 25 Aug 1921 Dr. Robert Lovett diagnosed Franklin Roosevelt with poliomyelitis; this was supported by Dr. E. H. Bennett. 16 Sep 1921 The newspaper New York Times announced that US politician Franklin Roosevelt was suffering from poliomyelitis. 26 Jun 1924 Franklin Roosevelt gave a speech in support of Governor Alfred E. Smith during the Democratic Party National Convention in New York, New York, United States. 3 Oct 1924 Franklin Roosevelt visited Warm Springs, Georgia, United States for the first time; the warm waters there were said to have healing powers. 26 Apr 1926 Franklin Roosevelt announced the purchase of the Meriwether Inn in Warm Springs, Georgia, United States. 1 Feb 1927 Franklin Roosevelt founded the Georgia Warm Springs Foundation in the United States to further the research of poliomyelitis and for the care of poliomyelitis patients. 6 Nov 1928 Franklin Roosevelt was elected the governor of the state of New York, United States. 3 Apr 1929 Franklin Roosevelt gave a 30-minute-long radio address as the governor of New York, United States; he would come to use this medium to communicate with his supporters for the remainder of his career. 4 Nov 1930 Franklin Roosevelt was re-elected the governor of the state of New York, United States. 2 Jul 1932 At Chicago, Illinois, United States, Franklin Roosevelt accepted to be the Democratic Party's candidate for the US Presidency. 8 Nov 1932 Franklin Delano Roosevelt was elected the President of the United States. 15 Feb 1933 Giuseppe Zangara made an assassination attempt on President-Elect of the United States Franklin Roosevelt in Miami, Florida, United States. 4 Mar 1933 Franklin Roosevelt was inaugurated as the thirty-second President of the United States. 6 Mar 1933 Franklin Roosevelt mandated a bank holiday, originally planned for four working days, to ease the run on US banks. 12 Mar 1933 Franklin Roosevelt held the first of a series of radio addresses, which would later be known as Fireside Chats, speaking on the banking crisis. 13 Mar 1933 US banks began to reopen after a week-long government-forced holiday. 21 Mar 1933 Franklin Roosevelt submitted his plan to establish the Civilian Conservation Corps to the United States Congress; it was initially opposed by organized labor leaders and even some members of the Democratic Party for the plan's militaristic organization, fascist appearance, and low wages (US$1 per day of work), but it would nevertheless be passed into law within ten days. 31 Mar 1933 Franklin Roosevelt established the Civilian Conservation Corps. 15 Apr 1933 Franklin Roosevelt exercised a new power given to his office by the United States Congress and force-purchased gold from gold hoarders. This was among his first steps in removing the US currency from the gold standard and to impose tighter control over the US currency. 20 Apr 1933 Franklin Roosevelt ordered that no American could export gold without government authorization. 2 May 1933 Franklin Roosevelt established the Agricultural Adjustment Administration, which closely managed agricultural production in the United States, which included the policy of destroying excess farm supply to control prices. 18 May 1933 Franklin Roosevelt established the Tennessee Valley Authority for power generation and flood control in the namesake region in the United States. 16 Jun 1933 Franklin Roosevelt signed the National Industrial Recovery Act into law, which provided temporary business stimulation and expanded public works. 16 Nov 1933 Franklin Roosevelt recognized the Soviet Union. 9 Feb 1934 President Roosevelt suspended all civil airmail contracts (effective from 19 Feb 1934) and handed the role over to the United States Army Air Corps. 23 Mar 1935 US President Franklin Roosevelt approved the Constitution of the Republic of the Philippines. 14 Aug 1935 Franklin Roosevelt signed the Social Security Act into law at 1530 hours, which aimed to provide protection against poverty related to old age, unemployment, and disability. 23 Jun 1936 Franklin Roosevelt was nominated for second term as US President at the Democratic National Convention in Philadelphia, Pennsylvania, United States. 14 Aug 1936 Franklin Roosevelt made a speech at Chautauqua, New York, United States, in which he stated "I hate war". 15 Sep 1936 Franklin Roosevelt ordered the United States Post Office, employers, and labor unions to assist the United States Social Security Administration to distribution SS-4 employer and SS-5 employee application forms for establishing Social Security Numbers. 3 Nov 1936 Franklin Roosevelt was re-elected US President. 20 Jan 1937 Franklin Roosevelt was inaugurated for second term as US President; in the inauguration speech, he spoke about taking care of the third of the American population who were "ill-housed, ill-clad, and ill-nourished". 9 Mar 1937 In the "Fireside Chat" radio address broadcast on this date, US President Franklin Roosevelt attempted to persuade the American public in allowing him to change to change the law in order to appoint more Supreme Court Justices. The American public would generally voice opinions against Roosevelt. 5 Oct 1937 Franklin Roosevelt called for a "quarantine" of aggressor nations in a speech at Chicago, Illinois, United States. 17 Jan 1938 Franklin Roosevelt began the March of Dimes campaign to fight poliomyelitis. 28 Jan 1938 Franklin Roosevelt requested funding from the United States Congress to build a "Two-Ocean Navy". 23 Jun 1938 US President Roosevelt approved a measure which specified the size of the active list of the US Marine Corps to be 2% of the active US Navy enlisted men. This act slightly increased the authorized strength of the US Marine Corps from 27,400 to 27,497. 25 Jun 1938 Franklin Roosevelt signed the Fair Labor Standards Act, establishing minimum wages and maximum work hours in the United States. 16 Oct 1938 Franklin Roosevelt signed a secret order to expand American air power by 15,000 machines per year. 12 Jan 1939 US President Franklin Roosevelt acknowledged that "...our existing air forces are so utterly inadequate that they must be immediately strengthened". 27 Jan 1939 Franklin Roosevelt approved the sale of military aircraft to France. 14 Apr 1939 Franklin Roosevelt wrote to Adolf Hitler and Benito Mussolini in attempt to maintain peace, asking them to guarantee the borders of 31 countries for at least 10 years. 30 Apr 1939 Franklin Roosevelt's address at the opening ceremonies of the New York World's Fair was broadcast on television, making him the first US President to appear in this medium. 1 May 1939 Franklin Roosevelt dedicated the Post Office of Rhinebeck, New York, United States. 5 Sep 1939 Franklin Roosevelt put the arms embargo in place in response to the start of the European War as required by law, but he would soon approach the United States Congress in attempt to remove the ban. 5 Sep 1939 President Franklin Roosevelt issued two Neutrality Proclamations. Roosevelt also ordered the Navy to perform a neutrality patrol to track any belligerent naval force approaching the US's Atlantic coast or the West Indies. 8 Sep 1939 US President Franklin Roosevelt declared a limited state of emergency. One of his orders of the day was to increase the US Marine Corps enlisted strength to be increased from 18,325 to 25,000, partially to be achieved by authorizing the recall of officers and men from the Marine Corps retired lists. 9 Sep 1939 US President Franklin Roosevelt began recalling military servicemen who were on retired lists. 11 Sep 1939 Franklin Roosevelt wrote to Winston Churchill and Neville Chamberlain, encouraging them to communicate with him personally, ie. bypass the official diplomatic channels. 21 Sep 1939 President Franklin Roosevelt told the US Congress that the United States should relax its neutrality laws to enable its arms manufacturers to sell to belligerent countries. 5 Oct 1939 Franklin Roosevelt spoke to Winston Churchill for the first time over the telephone. Roosevelt, who initiated the call, engaged Churchill in a discussion on the German attempt to attack American shipping as an attempt to sabotage British-American relations; such an effort would later found to be a mere rumor. 11 Oct 1939 US President Franklin Roosevelt sent a cable to Soviet President Mikhail Kalinin, asking the Soviet Union to de-escalate the tension with Finland. 18 Oct 1939 US President Franklin Roosevelt banned any American port from taking in any foreign combat submarines. 4 Nov 1939 Franklin Roosevelt laid the cornerstone of the Franklin D. Roosevelt Library in Hyde Park, New York, United States. 10 Feb 1940 In Washington DC, United States, President Franklin Roosevelt confronted a booing demonstration of 4,446 members of the American Youth Congress who had marched up Constitutional Avenue with banners condemning the prospect of the US being drawn into an imperialistic war. Angrily he told the demonstrators that American sympathy is overwhelmingly in support of Finnish efforts to stave off invasion, and warned them not to pass resolutions on subjects of which they have no complete knowledge. 25 Apr 1940 US President Roosevelt announced that the United States recognized the state of war between Germany and Norway, and reaffirmed American neutrality in that conflict. To that end, he specifically forbade Norwegian submarines from entering American territorial waters. 7 May 1940 US President Roosevelt ordered the US Navy Pacific Fleet to remain in Pearl Harbor, US Territory of Hawaii indefinitely as a deterrent to Japanese expansionism. 11 May 1940 US President Roosevelt announced that the US was now officially recognizing the state of war between Germany and the Low Countries and reaffirmed American neutrality in that conflict. He restricted submarines of any of the nations involved in that conflict to use American ports and territorial waters, exclusive of the Panama Canal Zone. 16 May 1940 US President Roosevelt requested the US Congress to appropriate US$546,000,000 for the US Army, US$250,000,000 for US Navy and US Marine Corps, and US$100,000,000 for his own office for national defense purposes. He also requested the authorization for the military and his own office to issue contracts in the amount of US$186,000,000 and US$100,000,000, respectively. 17 May 1940 US President Franklin Roosevelt announced the plans for recommissioning 35 additional flush deck destroyers to meet the requirements of fleet expansion and the Neutrality Patrol. 20 May 1940 US President Franklin Roosevelt expressed his concern regarding the Uruguayan-German tension to Undersecretary of State Sumner Welles. Welles reported to Roosevelt that the Uruguayan government had taken steps to investigate Nazi Party activities in Montevideo. 30 May 1940 President Roosevelt rejected a request from US Ambassador to France William Bullitt of 28 May 1940, which asked for an American fleet to move into the Mediterranean Sea. Secretary of State Cordell Hull, who communicated the rejection to Bullitt, added that the "presence of the fleet in the Pacific at this time is a very practical contribution to the maintenance of peace in the Pacific". 5 Jun 1940 US President Franklin Roosevelt ordered US Navy Chief of Naval Operations Admiral Harold Stark to prepare a US Marine Corps brigade for future deployment to Iceland. 10 Jun 1940 Franklin Roosevelt gave a speech at the graduation ceremony of the University of Virginia School of Law in Charlottesville, Virginia, United States, declaring that the Italian declaration of war on France was like "the hand that held the dagger has struck it in the back of its neighbor". His son, Franklin Roosevelt, Jr., was among those who received degrees that day. 11 Jun 1940 Due to the Italian entry into the European War, US President Roosevelt declared the Mediterranean Sea and mouth of Red Sea to be combat zones for American ships in accordance with the Neutrality Act. 14 Jun 1940 US President Roosevelt signed the Naval Expansion Act, which increased the carrier, cruiser, and submarine tonnage of the US Navy by 167,000 tons, increased auxiliary shipping by 75,000 tons, and increased the number of authorized naval aircraft to 4,500 planes. 15 Jun 1940 US President Franklin Roosevelt approved a revised copy of the Naval Expansion Act which he had approved on the previous day; it increased naval aviation to a strength 10,000 aircraft instead of the previously lower quantity of 4,500. He also replied to the French Premier's "last appeal", saying that America would redouble her efforts if the Allies continue to resist the dictators. 20 Jun 1940 US President Franklin Roosevelt nominated two well-known Republicans with pronounced pro-Ally sympathies, Henry Stimson and Frank Knox, to be Secretaries for War and the Navy respectively. 27 Jun 1940 US President Roosevelt declared a national emergency and re-invoked the Espionage Act of 1917 to control shipping in American waters and in waters near the Panama Canal Zone. On the same day, he also established the National Defense Research Committee under chairman Vannevar Bush to coordinate the development of war related sciences and technologies. 29 Jun 1940 US President Franklin Roosevelt departed Washington DC, United States aboard the yacht Potomac; the ship was accompanied by auxiliary vessel Cuyahoga. 30 Jun 1940 US President Franklin Roosevelt returned to Washington DC, United States after touring the Potomac River aboard the presidential yacht Potomac. 5 Jul 1940 US President Roosevelt used the power given by the Export Control Act, which was was just passed into law three days prior, to restrict the export of strategic minerals, strategic chemicals, aircraft engines, aircraft engine parts, and other equipment to Japan without special license. 18 Jul 1940 Franklin Roosevelt received an almost unanimous invitation at the Democrat Convention in Chicago, Illinois, United States to stand as the party's candidate for the 1940 presidential election. If elected he would become the first US President to remain in office for more than two terms. 19 Jul 1940 US President Franklin Roosevelt departed Washington Navy Yard, Washington DC, United States aboard presidential yacht Potomac, along with auxiliary vessel Cuyahoga, for a cruise in the Chesapeake Bay. 21 Jul 1940 US President Franklin Roosevelt returned to Washington Navy Yard, Washington DC, United States after a cruise in the Chesapeake Bay aboard presidential yacht Potomac. 26 Jul 1940 US President Roosevelt, using powers granted to his office by the Export Control Act, restricted the export of aviation gasoline and certain classes of iron and steel scrap to Japan without special license. 27 Jul 1940 US President Franklin Roosevelt, Secretary of the Navy Frank Knox, and US Congress House of Representatives' Naval Affairs Committee chairman Carl Vinson departed Washington Navy Yard, Washington DC, United States aboard presidential yacht Potomac for Norfolk Navy Yard, Virginia, United States. 29 Jul 1940 US President Franklin Roosevelt, Secretary of the Navy Frank Knox, and House Naval Affairs Committee chairman Carl Vinson arrived at Norfolk Navy Yard, Virginia, United States, via presidential yacht Potomac, for an inspection. After the navy yard, they also visited US Army's Langley Field and the Newport News Ship Building and Drydock Company. 30 Jul 1940 US President Franklin Roosevelt returned to Washington Navy Yard, Washington DC, United States via presidential yacht Potomac. 2 Aug 1940 US President Roosevelt and his cabinet discussed the methods to which the transferring 50 or 60 destroyers to the United Kingdom could be conducted. 10 Aug 1940 In the United States, President Roosevelt inspected Portsmouth Navy Yard in New Hampshire and Boston Navy Yard in Massachusetts, making the travel aboard presidential yacht Potomac. 11 Aug 1940 US President Roosevelt departed Boston Navy Yard, Boston, Massachusetts, United States aboard presidential yacht Potomac, escorted by destroyer USS Mayrant, for Mattapoisett, Massachusetts, arriving later on the same day. 12 Aug 1940 US President Roosevelt departed Mattapoisett, Massachusetts, United States aboard presidential yacht Potomac, escorted by destroyer USS Mayrant, for Newport, Rhode Island, United States to inspect the Torpedo Station and the Naval Training Station with Secretary of the Navy Knox, Senator David I. Walsh and Rear Admiral Edward C. Kalbfus. He then sailed for the Submarine Base at New London, Connecticut, United States, inspecting submarine operations en route and visiting Electric Boat Company facilities in New London. Finally, he set sail for Washington Navy Yard, Washington DC, United States, arriving at night. 13 Aug 1940 US President Roosevelt met with Secretary of the Navy Knox, Secretary of War Henry L. Stimson, Secretary of the Treasury Henry Morgenthau, and Undersecretary of State Sumner Welles regarding the possibilities of transferring destroyers to the United Kingdom. Later on the same day, Roosevelt sent a telegram to British Prime Minister Churchill via Acting Secretary of State Sumner Welles and Ambassador to London Kennedy, noting that "it may be possible to furnish to the British Government... at least 50 destroyers" in exchange for the promise of the Royal Navy never turning over its ships to the Germans even in the event of a Germany victory over the United Kingdom and for 99-year leases for land for military bases. 15 Aug 1940 Roosevelt approved the National Defense Research Committee, which was a collection of civilian scientists working for the military. 16 Aug 1940 US President Roosevelt announced in a press conference that the United States had engaged with the United Kingdom to acquire land for military bases in the Western Hemisphere. No mention was made regarding the transfer to destroyers from the US to the UK. 18 Aug 1940 US President Roosevelt and Canadian Prime Minister King signed the Ogdensburg Agreement in Heuvelton, New York, United States, which established the Permanent Joint Board for the Defense of the United States and Canada. 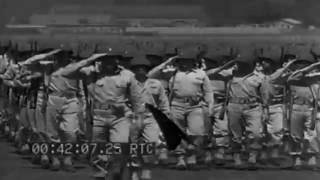 31 Aug 1940 US President Roosevelt called 60,000 men of the National Guard into federal service with the US Army. 1 Sep 1940 In an unprecedented event in United States history, conscription in peace-time was signed into law by Franklin Roosevelt. 2 Sep 1940 Franklin Roosevelt approved the "destroyers for bases" deal with the United Kingdom. 5 Nov 1940 Roosevelt was re-elected as President of the United States. 17 Dec 1940 President Roosevelt held a press conference in Washington DC, United States, revealing the Lend-Lease program to journalists. 20 Dec 1940 US President Roosevelt named a four-member defense board under William A. Knudsen to prepare defense measures and to hasten the aid to the United Kingdom. 29 Dec 1940 In his broadcast to the American nation, President Franklin Roosevelt declared that the United States would not be deflected, by Axis threats, from its policy of providing Great Britain and her Allies with all possible aid short of war. He further declared that the risk of war would not deter America in the slightest degree, and that victory by those resisting aggression was of paramount interest to the United States, and that he was confident that the Axis powers would not win the war. 29 Dec 1940 US President Roosevelt broadcasted a fireside chat, urging the country to increase production in preparation for war, but also promising to keep the United States out of the fighting. 6 Jan 1941 In his State of the Union address, US President Franklin Roosevelt enunciated the Four Freedoms: freedom of speech and expression, freedom of worship, freedom from want, and freedom from fear. 8 Jan 1941 US President Franklin Roosevelt requested the US Congress to pass a defense budget in the size of US$10,811,000,000 for fiscal year of 1942. 11 Mar 1941 US President Roosevelt signed the Lend Lease Act into law, which allowed Allied nations to purchase weapons and other supplies from the United States on credit. 15 Mar 1941 At a crowded dinner of the White House Press Correspondents Association, President Franklin Roosevelt, in a trenchant speech that was beamed to Europe in fourteen languages, promised America would supply the needs of the British and Greeks with ships, planes, and food. This was fighting talk but specious fighting talk, for that he was making public promises that he was powerless to keep. 10 Apr 1941 Franklin Roosevelt approved the transfer of 10 Lake-class Coast Guard Cutters to the British Royal Navy; the transfers were completed between 30 Apr and 30 May 1941. 11 Apr 1941 US President Franklin Roosevelt proclaimed that the Red Sea was to be no longer considered as a war zone so as to enable it to be used by American shipping. 13 Apr 1941 Alarmed by the Soviet-Japanese Neutrality Pact, US President Franklin Roosevelt ordered the US Navy to scale back operations in the Atlantic Ocean to avoid war with Germany, as naval resources might need to be diverted to the Pacific Ocean to counter this new threat. 15 Apr 1941 Franklin Roosevelt approved the formation of the American Volunteer Group (AVG) of combat pilots in China. 18 Apr 1941 US President Franklin Roosevelt told a Press Conference that he did not think that public opinion in America was yet fully aware of the gravity of the military crisis in Europe or its implications for the safety of the United States. 25 Apr 1941 Franklin Roosevelt called Charles Lindbergh an appeaser in response to Lindbergh's 23 Apr 1941 calls for the United States to stay out of the war. 16 May 1941 US President Franklin D. Roosevelt declared the defence of China to be vital to the United States. 27 May 1941 Franklin Roosevelt announced unlimited state of emergency, which enabled him to send more war supplies to the United Kingdom. 7 Jun 1941 US President Roosevelt learned that Germany was unlikely to invade the Iberian Peninsula, and suspended the planning for the occupation of the Portuguese Azores islands. 9 Jun 1941 US President Franklin Roosevelt sent troops into the North American Aviation Company's plant near Los Angeles, California, United States to break a strike by workers. 19 Jun 1941 In Britain, Oxford University conferred the degree of Doctor of Civil Law on President Franklin Roosevelt. 20 Jun 1941 Franklin Roosevelt addressed the US Congress in regards to the sinking of American freighter Robin Moor by German submarine on 21 May 1941. 30 Jun 1941 Franklin Roosevelt dedicated the Franklin D. Roosevelt Library in Hyde Park, New York, United States. 17 Jul 1941 US President Franklin Roosevelt and Secretary of State Cordell Hull met with Japanese Ambassador Kichisaburo Nomura in Washington DC, United States in an attempt to open negotiations bewteen the two countries regarding peace in the Pacific region. 21 Jul 1941 Franklin Roosevelt asked the United States Congress to modify the Selective Service Act, increasing the period of service from one year of active service to also include 30 months in reserve. 26 Jul 1941 US President Franklin Roosevelt passed executive orders to freeze all Japanese and Chinese assets, forbade the export of oil, iron, and rubber to Japan, as well as marking the Panama Canal off-limits to Japanese shipping. UK and the Netherlands followed suit. 10 Aug 1941 Franklin Roosevelt and his staff visited HMS Prince of Wales to attend British religious services. 17 Aug 1941 Franklin Roosevelt arrived in Washington DC, United States. 18 Aug 1941 US President Franklin Roosevelt announced that Pan American Airways had agreed to ferry Lend-Lease US warplanes to British forces in the Middle East. 6 Sep 1941 Franklin Roosevelt arrived at Hyde Park, New York, United States to see his ailing mother Sara Roosevelt. 7 Sep 1941 Sara Roosevelt, mother of the US President, passed away at Hyde Park, New York, United States shortly before 1200 hours. 11 Sep 1941 US President Roosevelt announced that American warships will attack German and Italian submarines on sight during his "fireside chat" radio address, equating the attacks to piracy. 18 Sep 1941 US President Franklin Roosevelt requested US Congress to allocate US$1,500,000,000 for the Lend-Lease program. 24 Oct 1941 Franklin Roosevelt hosted Princess Märtha of Sweden (Crown Princess of Norway) at his home in Hyde Park, New York, United States. 27 Oct 1941 President Franklin Roosevelt addressed his country, noting that the German attack on the destroyer USS Kearny "was to frighten the American people off the high seas - to force us to make a trembling retreat", claiming that the "American spirit" was now "aroused". 1 Nov 1941 Roosevelt placed the US Coast Guard under the control of US Navy for the duration of national emergency. 6 Nov 1941 Franklin Roosevelt had dinner with Princess Märtha of Sweden (Crown Princess of Norway) at the White House in Washington DC, United States. 9 Nov 1941 Franklin Roosevelt had dinner with Lucy Mercer Rutherfurd in Washington DC, United States. 10 Nov 1941 Franklin Roosevelt ordered protection for dams, power plants, and other important infrastructure sites. In the evening, he had dinner with Lucy Mercer Rutherfurd. 15 Nov 1941 Franklin Roosevelt had lunch with Princess Märtha of Sweden (Crown Princess of Norway) at the White House in Washington DC, United States, followed by a private showing of the film Dumbo. 25 Nov 1941 Henry Stimson noted in his diary that, during a cabinet meeting, Franklin Roosevelt thought Japan was likely to attack the United States in as soon as one week, and it would provide Roosevelt the reason to take the United States into the war. 26 Nov 1941 Franklin Roosevelt celebrated the Thanksgiving holiday in Warm Springs, Georgia, United States. 3 Dec 1941 President Franklin Roosevelt announced that Lend-Lease aid would be given to Turkey, as the safety of that country was considered vital to American defence. 6 Dec 1941 US President Roosevelt sent a personal message to Emperor Showa, attempting to calm situation in Indochina. 7 Dec 1941 Franklin Roosevelt met with Chinese ambassador Hu Shih at the White House in Washington DC, United States, had lunch with Harry Hopkins, and at 1347 hours he was interrupted by a telephone call from Frank Knox, informing him of the Pearl Harbor attack. At 2030 hours, Roosevelt gave a briefing to a small group of Congressmen. 9 Dec 1941 Franklin Roosevelt had his first "Fireside Chat" radio address since the United States had entered the war, noting that the Axis powers had been tainted with "a decade of immorality". 26 Dec 1941 US President Franklin Roosevelt signed a bill establishing the fourth Thursday in November as the Thanksgiving Day holiday in the United States. 7 Jan 1942 US President Franklin Roosevelt submitted a US$29,000,000,000 budget to the US Congress to fund the construction of 60,000 aircraft, 45,000 tanks, and 8,000,000 tons of shipping. 11 Feb 1942 In Washington DC, United States, US Congress approved the construction of the Alaska-Canadian Highway; US President Roosevelt immediately signed it. Canada agreed to this construction under the condition that the United States would bear the entire cost of construction, and that portions of the highway in Canadian territory would turn over to Canadian control after the war. 21 Apr 1942 US President Roosevelt ordered the seizure of all patents owned by enemy nations. 5 Jun 1942 US President Roosevelt threatened the use of poison gas against Japan if Japanese troops were to deploy poison gas in China. 21 Jun 1942 In Washington, United States, President Franklin Roosevelt handed a telegram to Winston Churchill without comment. It announced that the 33,000-man garrison in Tobruk, Libya had surrendered. The American President immediately offered to send, by the fastest American ships, 300 new Sherman tanks and a hundred self-propelled guns to Egypt. 7 Sep 1942 Franklin Roosevelt asked the United States Congress for the power to control prices of various goods in the civilian market, adding that, if not given the authority by the lawmakers by 1 Oct 1942, he would do so anyway. 25 Sep 1942 Franklin Roosevelt dedicated the US Marine Corps base Camp Pendleton in San Diego County, California, United States. 7 Oct 1942 Franklin Roosevelt announced his intentions to try the "ringleaders responsible for the organized murder", referring to the Holocaust, as war criminals. 4 Dec 1942 US President Franklin D. Roosevelt closed down the Works Progress Administration, because of the high levels of wartime employment in the United States. 8 Apr 1943 US President Roosevelt froze wages and prices of utilities in order to prevent inflation. He also banned workers from changing jobs unless the switch would further the war effort. 2 May 1943 Franklin Roosevelt informed George Marshall that he was going to approve the supplies Chiang Kaishek requested without any caveats, which included 500 planes and 10,000 tons of supplies to be delivered over the Hump. 27 May 1943 Franklin Roosevelt ordered that all defense contracts to be free of racial discrimination. 17 Jun 1943 In a letter written to Winston Churchill, President Franklin Roosevelt expressed his conviction that General Charles de Gaulle was injuring the Allied war efforts and was "a very dangerous threat to us". 14 Jul 1943 US President Franklin Delano Roosevelt dedicated US$30,000 for the George Washington Carver National Monument near Diamond, Missouri, United States. This future monument would be the first national monument dedicated to an African-American and the first to a non-president. 15 Jul 1943 US President Roosevelt created he Office of Economic Warfare, which was to be led by Leo Crowley. 16 Jul 1943 Winston Churchill and Franklin Roosevelt jointly issued an announcement to the Italian people, urging them to remove Benito Mussolini from power and to seek surrender. On the same day, Allied aircraft dropped leaflets containing the same message over Italian cities. 20 Jul 1943 Franklin Roosevelt ordered that information regarding atomic research was to be shared with the British. 8 Dec 1943 Franklin Roosevelt arrived in Sicily, Italy. 22 Jan 1944 Franklin Roosevelt issued Executive Order 9417 for the establishment of the War Refugee Board to help European Jews flee from Europe. The board was to be governed by the Secretaries of State, Treasury, and War. 24 Jan 1944 Roosevelt created the War Refugee Board in response to political pressure that demanded action to help Jews in occupied Europe. 3 Mar 1944 Franklin Roosevelt announced to the American public that United States, United Kingdom, and Soviet Union were intended on dividing the Italian fleet evenly between the three powers as war reparations. 25 Mar 1944 Franklin Roosevelt arrived at Hyde Park, New York, United States. 4 Apr 1944 Franklin Roosevelt's doctor noted the US President's high blood pressure and prescribed rest; Roosevelt would soon depart for Bernard Baruch's home in South Carolina, United States for a vacation. 28 Apr 1944 Lucy Mercer Rutherfurd visited Franklin Roosevelt at Bernard Baruch's estate Hobcaw Barony near Georgetown, South Carolina, United States. 7 May 1944 Franklin Roosevelt arrived in Washington DC, United States. 22 Jun 1944 Franklin Roosevelt signed the G. I. Bill of Rights which provided education and other assistance to veterans of the US military. 6 Jul 1944 Franklin Roosevelt met with Charles de Gaulle in Washington DC, United States. 7 Jul 1944 Franklin Roosevelt had dinner with Lucy Mercer Rutherfurd, Ana Roosevelt Boettiger, and John Boettiger in Washington DC, United States. 8 Jul 1944 Franklin Roosevelt and Lucy Mercer Rutherfurd visited Shangri-La (now Camp David) near Thurmont, Maryland, United States. 15 Jul 1944 US President Roosevelt arrived in Chicago, Illinois, United States aboard his personal train Ferdinand Magellan and met with the chairman of the Democratic Convention Robert Hannegan to discuss the upcoming re-election. 17 Jul 1944 US President Roosevelt announced that he would allow the Democratic Convention to select a running mate for him rather than naming one himself. 19 Jul 1944 Franklin Roosevelt was nominated to run for a fourth term as the President of the United States. 23 Aug 1944 Franklin Roosevelt rejected Chiang Kaishek's counteroffer of 23 Jul 1944 regarding the American wish for Chiang to include communists in the war against Japan. 31 Aug 1944 Franklin Roosevelt departed Washington DC, United States by train. 1 Sep 1944 Franklin Roosevelt visited Lucy Mercer Rutherfurd in Allamuchy, New Jersey, United States. After dinner, he departed for Hyde Park, New York, United States by train. 23 Sep 1944 Franklin Roosevelt denounced Republican Party attacks during a speech at the Teamster's Union dinner; the Republicans had accused Roosevelt of inappropriately using a US Navy destroyer to fetch his pet dog Fala, abusing his presidential powers. 5 Oct 1944 Franklin Roosevelt told Chiang Kaishek that Joseph Stilwell was to be relieved as Chiang's chief of staff and as the Lend-Lease director, but he would remain in China as the commanding officer of American troops in China and Burma. 7 Nov 1944 Franklin Roosevelt was re-elected to serve his fourth term as the President of the United States. 27 Nov 1944 Franklin Roosevelt departed Washington DC, United States for Warm Springs, Georgia, United States by train. 17 Dec 1944 Franklin Roosevelt departed Warm Springs, Georgia, United States by train. He made a brief stop at Atlanta, Georgia to meet with Lucy Mercer Rutherfurd. 12 Jan 1945 Franklin Roosevelt departed Washington DC, United States for Hyde Park, New York, United States by train; Lucy Mercer Rutherfurd accompanied him on this journey. 2 Feb 1945 Churchill and Roosevelt completed a three-day meeting at Malta; Churchill noted that Roosevelt's health was not at its best. 27 Feb 1945 Franklin Roosevelt arrived in Newport News, Virginia, United States via USS Quincy. 29 Mar 1945 Franklin Roosevelt visited Hyde Park, New York, United States and the Franklin D. Roosevelt Library for what would be the last time. 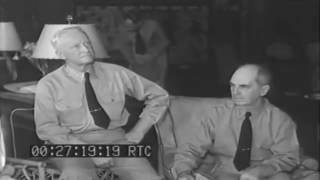 30 Mar 1945 Franklin Roosevelt arrived at Warm Springs, Georgia, United States. 7 Apr 1945 While at Warm Springs, Georgia, United States, Franklin Roosevelt had a brief telephone conversation with his wife Eleanor Roosevelt, who was at the family estate at Hyde Park, New York, United States. 12 Apr 1945 Franklin Roosevelt passed away of cerebral hemorrhage after complaining of acute headache during a portrait painting session with artist Elizabeth Shoumatoff at Warm Springs, Georgia, United States.